NEW DELHI — A journalist who was sued for defamation after accusing former Indian minister and veteran news editor M.J. Akbar of sexual harassment was granted bail in a New Delhi court on Monday. 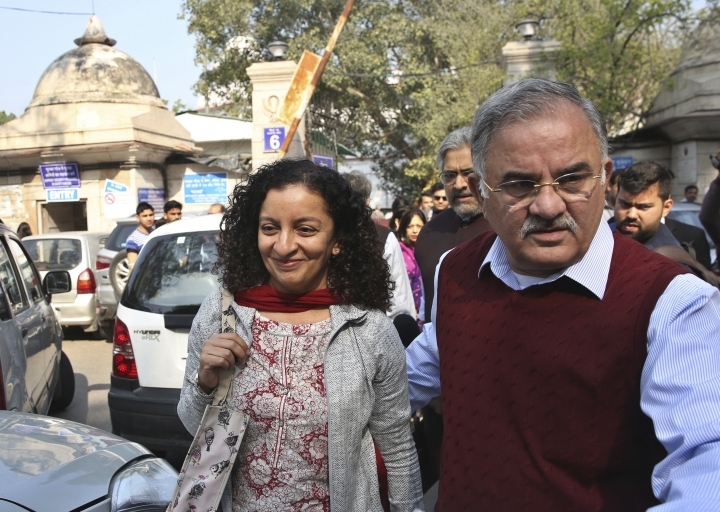 The court set the next hearing in Akbar's criminal case against Priya Ramani for April 10. "After that, it will be my turn to tell my story, and the truth is my defense," Ramani, flanked by high-profile Indian journalist supporters, told reporters outside the courtroom. Akbar sued Ramani last October when she identified him on Twitter as the unnamed editor that she had described in a piece published in Vogue in 2017. In the piece, she said the editor had offered her alcohol, serenaded her with old Hindi songs, and invited her to sit next to him on a bed in a Mumbai hotel room where she'd met him for a job interview years ago. Akbar resigned as India's junior foreign minister last year amid accusations by 20 women of sexual harassment during his previous career as one of the country's most prominent news editors. Akbar, 68, has denied all of the allegations, suggesting on social media that they were part of an orchestrated campaign to defeat the ruling Bharatiya Janata Party in general elections due by May. First serving as a lawmaker for India's then-ruling India National Congress party between 1989 and 1991, Akbar then edited The Telegraph, The Asian Age and other newspapers and wrote several books of nonfiction. He returned to public life in March 2014, when he joined the BJP and was appointed national spokesman during the 2014 election that brought the party and Prime Minister Narendra Modi to power. Akbar maintained a low profile after joining India's Ministry of External Affairs in July 2016 as its junior minister, representing India overseas at multinational conferences. In India's deeply conservative society, the #MeToo movement began late but picked up steam last fall, when Indian actresses and writers flooded social media with allegations of sexual harassment and assault by their superiors and colleagues.